THE EQUESTRIAN EVENT OF BAGNAIA was born in 1985 with the INTERREGIONAL FORMULA, THEN BECOME A PLACE FOR INTERNATIONAL COMPETITIONS, ITALIAN CHAMPIONSHIPS AND GREAT NATIONALS EVENTS. THREE DAYS OF INTERNATIONAL HORSE SHOW BUT NOT ONLY, SPECTACLE AND GREAT ATTENTION FOR ALL THE PROTAGONISTS: PRIZE MONEY € 70,000.00 AND A car to The best rider/horse combination of ranking classes, and also the historic COntest FOR THE PUBLIC AND EXCLUSIVE SERVICES FOR THE SPONSORS OF THE EVENT! 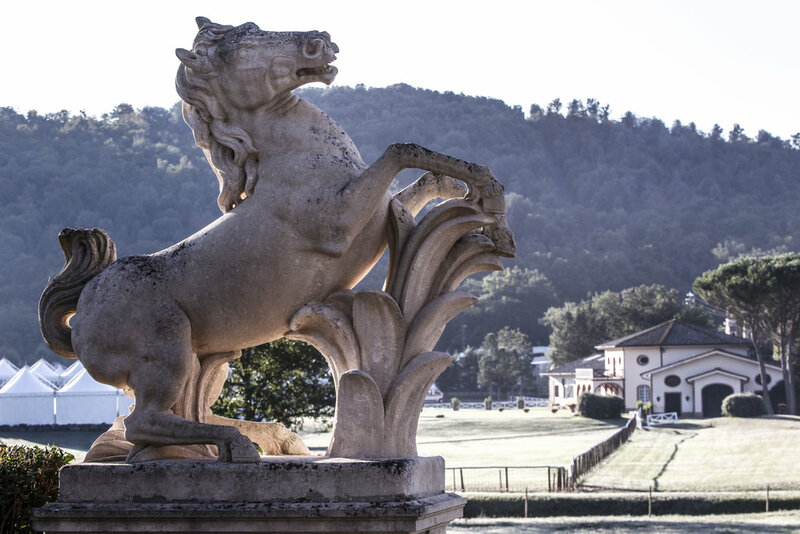 The event takes place near Siena, in the homonymous and splendid estate owned by the Monti Riffeser family, a family that has made this event a "classic" of the show jumping, coveted for the beauty of the places, for the technical characteristics and for the prize money. Bagnaia Jumping Show is distinguished for the hospitaly and professionalism of the Organizing Committee, for the excellent hotel structure: La Bagnaia Golf & Spa Resort Siena, Curio Collection by Hilton and the 18-hole Royal Golf Club and its wonderful Club House. The race formula is designed to entertain the public and the riders. The technical staff is very respectable, all professionals of the Editorial Monrif Group. Marketing and management of the sponsors are followed by SpeeD (Editorial and Digital Advertising Company), specialized in the advertising sector. The communication is entrusted to the journalist team of QN-QS Il Resto del Carlino, La Nazione, Il Giorno and Cavallo Magazine.